For 93-years, the Couristan brand has been revered as an icon of style and quality for its exquisite area rugs, residential carpeting and custom floor covering fashions. 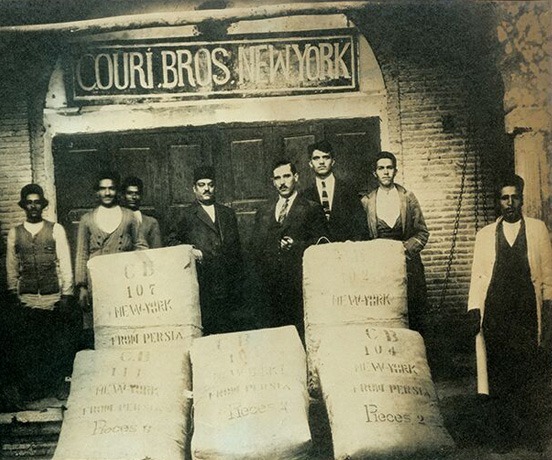 Founded in 1926 by brothers Basil J. Couri and George J. Couri, Couristan has been privately owned and operated by the Couri family for two generations. Today, the business has a global presence as it continues to thrive under the creative vision and innovative leadership of brothers George G. Couri, Chairman, and Ronald J. Couri, President and CEO. Some of the first area rugs imported by “Couri Brothers” were from Smyrna, an ancient city that is now part of Turkey. At that time, the company began affixing trademark labels reading “Couristan” to the back of each and every area rug it imported. This mark was composed from the family’s surname “Couri” and the frequently used suffix “stan”, referring to the region of small weaving villages from which the company imported its products. The trusted “Couristan” name and its high-end floor covering designs became widely popular and by 1927 the company was broadening its horizons and importing area rugs from India. Despite the economic break down of the Great Depression, Couristan continued to expand as a global importer and in the 1930’s the company began importing hand-hooked rugs from China and hand-braided rugs from Japan. For 30-years, between the 1930’s and 1960’s, Couristan was regarded as one of America’s largest importers of Japanese braided area rugs. Recognized as true trend-setters, Basil and George Couri helped create a lucrative marketplace and subsequent demand for handmade Oriental area rugs throughout the United States. It is this kind of ingenuity and innovative spirit that has made Couristan into the household name that it is now. It is this kind of ingenuity and innovative spirit that has made Couristan into the household name that it is now. Today, Couristan’s handmade assortment consists of over 20 area rug collections. The company continues to import handmade area rugs from China and India. Strict “No Child Labor” policies are implemented and confirmed by continuous internal and private inspections of each facility in which the company’s handmade area rugs are created. Each inspected handmade area rug is identified with a “No Child Labor” tag on its backing. Maintaining a strong belief that handmade area rugs are like works of art, each and every handmade area rug the company imports is hand-crafted with extraordinary detail and elegance. Styles range from antique-inspired looks, updated Persian designs, deeply contoured Orientals, casual-contemporary trends and “green” eco-chic fashions. In 1961 Couristan’s power-loomed area rug division made its debut with the introduction of the company’s long-standing Kashimar Collection. Through the use of technological weaving advancements, the company was able to produce a power-loomed collection inspired by original handmade Oriental and Persian designs at a fraction of the cost. The result was truly an affordable luxury for consumers. Couristan’s power-loomed assortment now includes over 25 collections, imported from such countries as Belgium, Bulgaria, China, Egypt and Turkey. Woven from natural fibers like wool, cotton and viscose, as well as various synthetic blends, each collection offers a diverse selection of beautiful, distinctive designs in today’s most sought-after color combinations. A full-range of sizes and shapes provides consumers with endless decorating solutions for the entire home. While the company was initially known for its extensive assortment of area rugs, Couristan diversified into new categories in the early 1950’s when it began offering fine quality residential carpet. This decision proved to be pivotal in the ongoing growth and success of the company, with carpet sales becoming a major part of Couristan’s overall business. Presently, Couristan’s residential carpet assortment features over 200 products within its Premiere, Purity and Creations brands. Styles range from classic Oriental and Persian designs, casual-contemporary, indoor/outdoor, transitional and eco-friendly choices that offer distinctive textures. Construction capabilities include but are not limited to Axminster, Wiltons, Hand-Loomed, Tufted and Structured Flatweaves with most available in multiple surface appearances and textures. 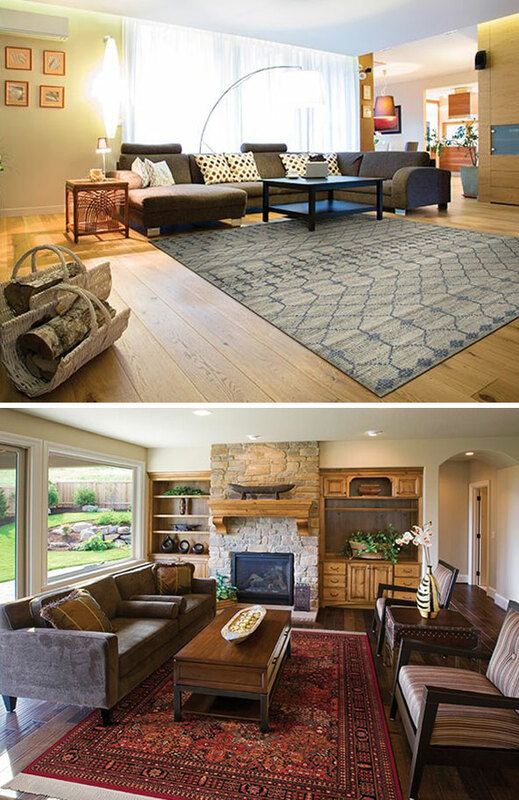 The introduction of the company’s innovative Custom Area Rug Program allows decorating enthusiast to create a custom area rug using any of the company’s residential carpet designs and extensive finishing options which include a series of bindings and serging preferences. “Consumers are no longer looking at carpet as a functional floor covering, but as a way to enhance the beauty of their home and to help communicate a unique sense of personality and style,” comments George Couri, Chairman of Couristan. “The unparalleled breadth of designs, colors and textures offered in our residential carpet assortment is a reflection of the importance we place on color forecasting, design and construction analysis, as well as our ability to globally source the best products at the best prices for the consumer,” stated Couri. 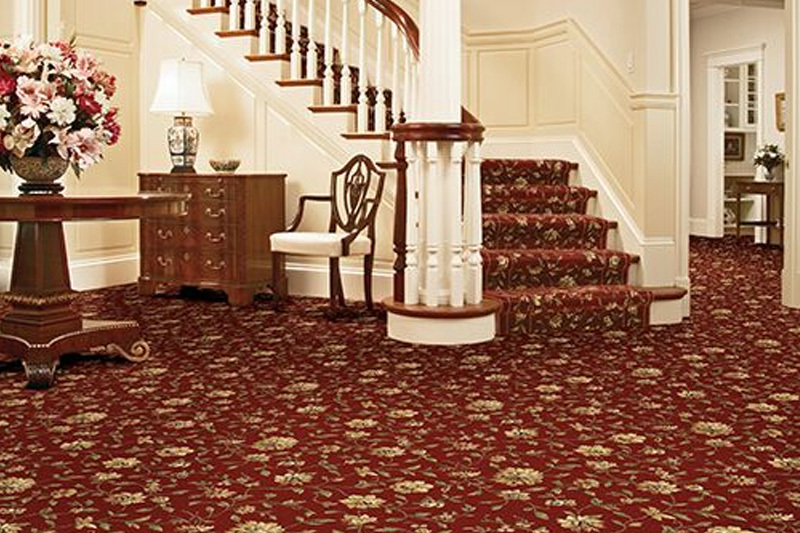 Seeing notable success with its residential carpet products eventually led to the foundation of Couristan’s Contract/Hospitality Custom Carpeting Division in the 1960’s. Today, Couristan’s dominance of the contract marketplace has earned it the reputation of being the undisputed market leader serving both the contract and hospitality carpet industries with the experience, skills and production capability to handle even the most complex and demanding projects. The division has grown significantly since then with the capability of producing Custom Woven Electronic Jacquard Axminsters, Custom Woven Wiltons, Custom Hand-Tufted Rugs, High-Definition ColourOptics Injection Print and Custom Machine-Tufted Carpets. “Our custom carpeting division has proven to be an incredibly valuable asset in recent years and has become the biggest part of our business. Our production capabilities combined with our expert staff of designers, technical and quality assurance teams, as well as senior management has enabled us to maintain the highest-levels of design, value and customer service,” comments George Couri. 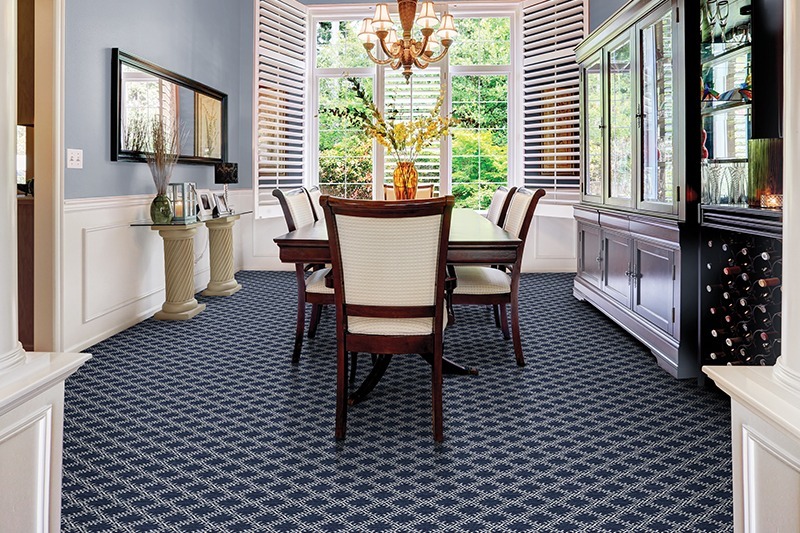 In 2003, the company introduced one of the most ground-breaking new products the floor covering industry had ever seen. Specifically designed to endure the “great outdoors”, Couristan’s award-winning Recife Collection helped revolutionize the area rug industry. Power-loomed of 100% Courtron™ polypropylene, UV stabilized, mold and mildew resistant, the introduction of Recife to the market was a major turning point for the company, setting Couristan apart from every competitor and opening new channels of distribution. 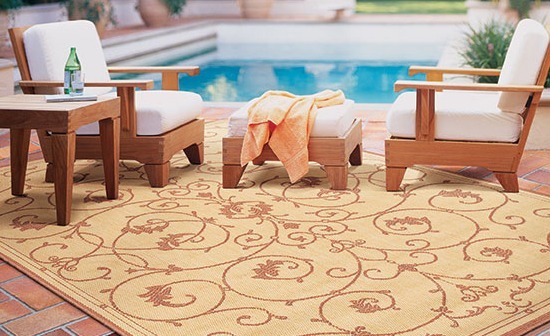 Today, the company offers a vast assortment of cutting-edge indoor/outdoor area rug collections, representing over five dozen SKUs, and leads the industry as an innovator of this widely successful category. Presently, the family-owned corporation consists of several operating entities. The North American sales and distribution corporation is comprised of two main divisions, with a nation-wide residential sales team focused on area rugs and residential carpeting and a contract/hospitality sales team spearheading the company’s specialized custom carpeting business. 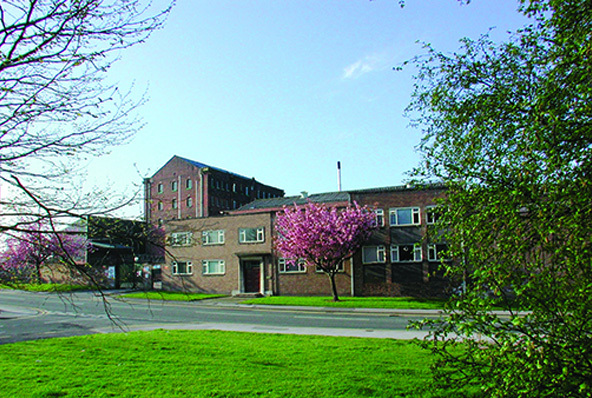 Manufacturing centers in China, Thailand and Germany, are managed by the company’s global manufacturing base in the United Kingdom. Offices and design studios are strategically located throughout the United States and Europe, with locations in Dallas, High Point, New York City and Las Vegas. A 238,000 square-foot warehouse located in Dalton, Georgia is equipped with state-of-the-art material handling systems and is networked to the company’s global headquarters and showroom in Fort Lee, New Jersey. Since its establishment over nine decades ago, Couristan and its entire team has dedicated itself to a universal commitment of excellence. Weaving four key components into every product – Trust, Style, Quality and Innovation – Couristan has earned its place as one of the most highly regarded companies in the floor covering industry. This long-standing position of success is a direct result of providing customers with the highest levels of design, value and customer service. As a family-owned and operated company, Couristan has managed to keep a watchful eye on the past, while continuing to focus an intent eye on the future. 93-years young, Couristan is full of life, filled with inspired fashions and more vibrant and relevant than ever before.